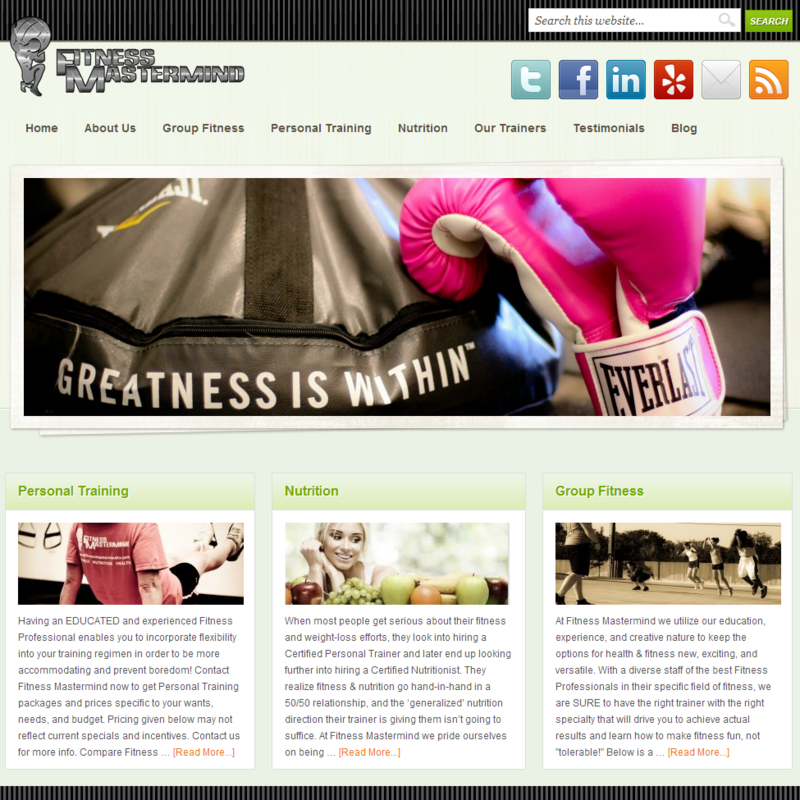 We recently upgraded the website for Fitness Mastermind, a personal training studio in Round Rock, Texas. Robby Wilson, the owner, had a separate website and blog with completely different designs. He wanted the two to be integrated with a consistent image. Combining the website and blog together on one site will also enhance his search engine optimization because any new incoming links to the site and/or blog will be pointed at one domain, improving his link profile, which, in turn, will improve his rankings. Fitness Mastermind is no longer in business so this site is no longer online.